Khosrov IV (Armenian: Խոսրով), was a Prince who served as a Sassanid King of Arsacid Armenia, which flourished during the second half of the 4th century & first half of the 5th century, from 387 until 389. The exact origins of Khosrov IV are unknown. The Armenian Historians of the 5th century, Faustus of Byzantium and Moses of Chorene, present Khosrov IV as a prince from the Arsacid dynasty, without mentioning his parentage. According to another Armenian Historian Ghazar Parpetsi who lived between the 5th and 6th centuries, whose work was History of Armenia mentions him also as an Arsacid prince, while naming him as the brother of Vramshapuh and the uncle of Artaxias IV (Artashir IV). According to modern genealogies, Khosrov IV is presented as being one of the sons of Varasdates (Varazdat). He was the namesake of his ancestor Khosrov III and was also the namesake of his Armenian and Parthian monarch ancestors who ruled with this name. Khosrov IV was born and raised in Armenia and little is known of his life prior to his kingship. The rise of the kingship and reign of Khosrov IV is associated with the reign of the last two ruling Roman Client Kings of Armenia Arsaces III (Arshak III) and his brother, Vologases III (Vagharsh III), who ruled together as co-kings under the powerful regency of Manuel Mamikonian, whose family were pro-Roman. In 386, Vologases III died without leaving an heir and Arsaces III became the sole-ruler of Armenia. As Manuel Mamikonian died at the same time as Vologases III did, the authority of Arsaces III became lessened by the Sassanid invasions from Persia of Armenia. The Sassanid invasion of Armenia, led the Roman emperor Theodosius I and the Sassanid King Shapur III to negotiate towards a treaty called the Peace of Acilisene. This led the Armenian Kingdom in 387 to be partitioned into two empires: Western Armenia to be under Roman rule and Eastern Armenia to be under Sassanid rule. Arsaces III witnessed his whole kingdom reduced to a small kingdom in Western Armenia as he resided in Ekeleac’ also known as Ekeghiats in which his area of rule was a line from Erzurum to Mush. Later in 387, Arsaces III died and left no heir. Western Armenia was annexed and became a province of the Byzantine Empire. After the partitioning of Armenia and the death of Arsaces III, many Armenians that lived in Western Armenia moved into Eastern Armenia which included many of the Nakharars. The Armenians that lived under Sassanid rule, requested to Shapur III from him an Arsacid King. Shapur III delighted from the request of the Armenians and with their consent appointed Khosrov IV as King of Armenia. After the appointment of Khosrov IV, Shapur III put a crown on the head of the youth. Khosrov IV in his kingdom kept the Arsacid capitals of Artashat and Dvin. The partitioning of Armenia and from the reign of Khosrov IV, marked the last stage of the ruling Arsacid dynasty in Armenia. Illustration of Mesrop Mashtots from a 1776 manuscript. As a sign to extend his courtesies to Sassanid Armenia, Shapur III gave his sister Zruanduxt to Khosrov IV to marry as his wife. Zruanduxt became a Queen consort, whom her brother had given her with Khosrov IV a large army to protect Armenia and had given Khosrov IV a tutor called Zik. Khosrov IV was a Christian Client Monarch governing under a non-Christian state whose official religion was Zoroastrianism. Little is known of Khosrov IV’s relationship with Zruanduxt. According to modern genealogies, Zruanduxt and Khosrov IV were the parents of two sons: Tigranes and Arsaces. In his reign, Khosrov IV had shown too great assertiveness of his royal authority. In the first year of his kingship, Khosrov IV bestowed Sahak son of Nerses as the Armenian Catholicos (Patriarch). Sahak was the last Gregorian Patriarch and he was distantly related to Khosrov IV, as Sahak’s late paternal grandmother was the Arsacid Princess Bambish. Bambish was a sister to King Tigranes VII (Tiran) and a daughter of King Khosrov III. 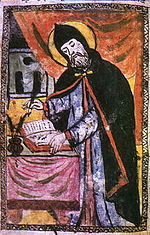 Saint Mesrop Mashtots in 387, on account of his piety and learned background was appointed by Khosrov IV as his imperial secretary. Mesrop’s duty was to write in Greek and Persian characters the decrees and edicts of the kingdom. He restored many Nakharars to their former nobility status and he was well known for his sympathies towards the Byzantine Empire, in particular to Theodosius I and his family. The goodwill that existed between Khosrov IV and Shapur III didn’t last, as in 388 Shapur III died. Shapur III was succeeded by his son Bahram IV, who was Khosrov IV’s nephew-in-marriage. Sometime in 389 Bahram IV, dethroned Khosrov IV and placed him in confinement in Ctesiphon. Bahram IV was unsatisfied with Khosrov IV. Bahram IV considered Khosrov IV, as being too assertive in his royal authority as a governing Client Monarch and did various acts in his kingship without consultation from the Sassanid dynasty. Bahram IV in 389 replaced Khosrov IV, with his brother Vramshapuh as Sassanid Client King of Arsacid Armenia. The fate of the wife and sons of Khosrov IV after this moment is unknown. The release of Khosrov IV from political exile is associated with the death of Vramshapuh or with the final years of the reign of his brother. Vramshapuh died in 417. After the death of Vramshapuh, Sahak visited the court of the Sassanid King Yazdegerd I in releasing Khosrov IV from political exile. Yazdegerd I consented with Sahak in releasing Khosrov IV from imprisonment. When Khosrov IV was released from political exile, there is a possibility he may have served again as King of Armenia from 417 until about 418. He may have reigned again as his nephew, Artaxias IV was too young to succeed his father. The possible second reign of Khosrov IV, may have only lasted up to a year, as he died in 418. From 417 to 422, Armenia was under the direct rule of the Nakharars and the Sassanid dynasty. Artaxias IV in 422, was appointed as King of Armenia by the Sassanid dynasty. This page was last edited on 2 February 2019, at 19:14 (UTC).